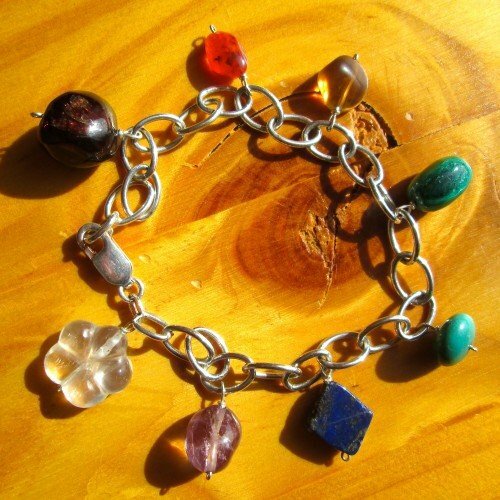 Chakra bracelet round crystal silver is certainly as popular as ever. 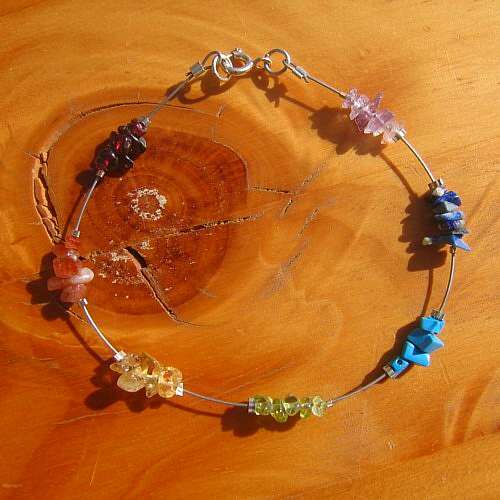 Because the 4mm round crystals are vibrant in colour, the result is a bright and fun bracelet. 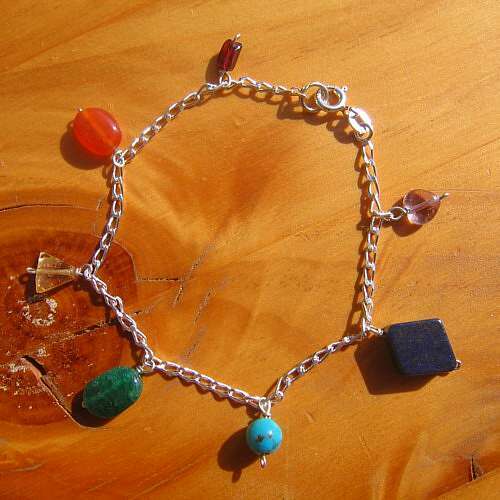 For that reason this is my favourite bracelet to wear. Each crystal corresponds with each of the seven main chakras. Base, sacral, solar plexus, heart, throat, third eye and crown. Tiny silver beads are used to separate each block of crystals. 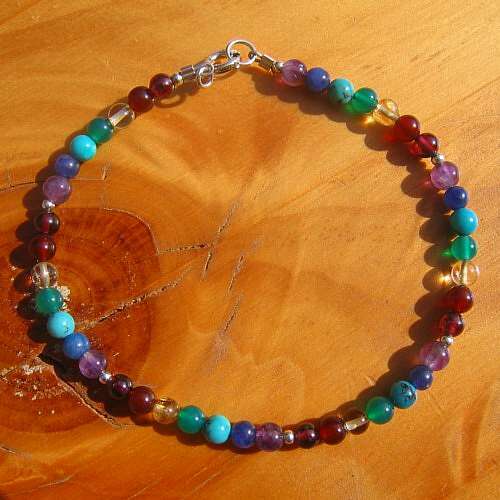 Your “chakra bracelet round crystal silver” is closed with a small sterling silver clasp. 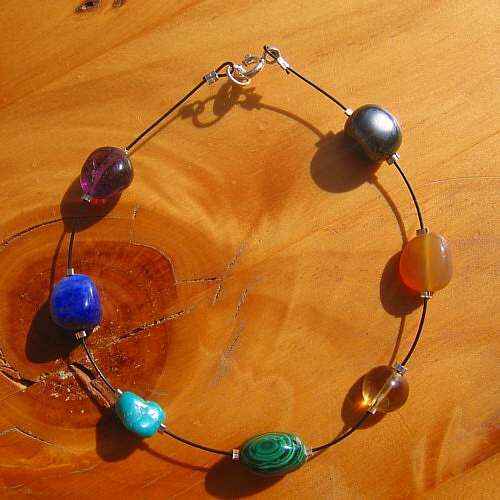 So, crystals used are amethyst, lapis lazuli, turquoise, malachite, citrine, carnelian and garnet. One size, measuring 7.5 inches /19 cm approx.